TME’s offer of cables has been enriched with a new group of products: ribbon cables with IDC connectors of a well-known AMPHENOL company. Cables of this type are widely used for wire-to-board type static connections in electronics and telecommunications. A wide range of available numbers of cores – from 6 up to 50 – make them an ideal solution in even most demanding projects. 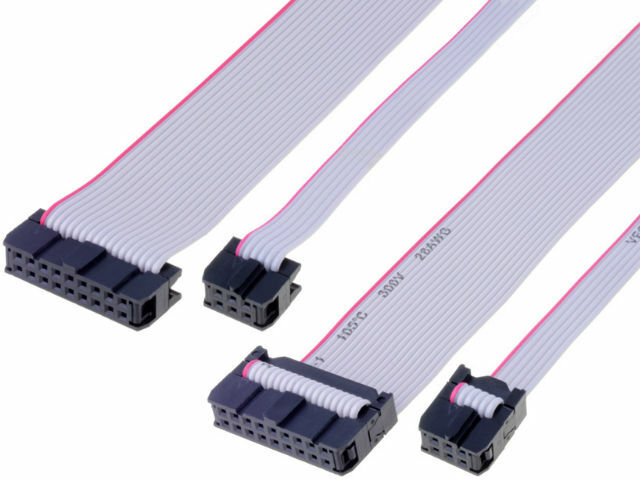 What is more, the IDC connectors are compatible with pin strips with a 2,54mm pitch, which makes that the cables are ideal solution for connections between modules prototype boards modules, boards with displays and keyboards as well as to hard drives. Each cable width is available in two versions: with stain relief or without it.